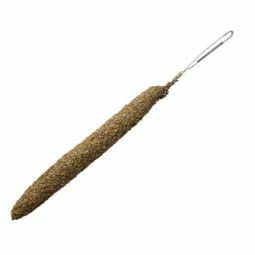 The Longaniza Salami from Aragon is an exceptional product with a delicate and distinct taste. 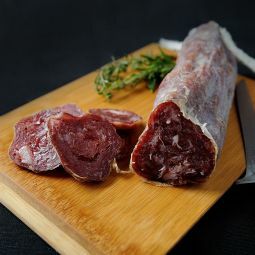 The Salami is whole piece, air dried and firm as well as juicy and tasty. 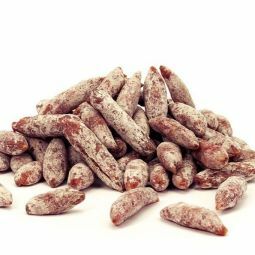 The Longaniza Salami from Aragon comes from the region of Teruel and this outstanding salami has an exquisite and fine taste. 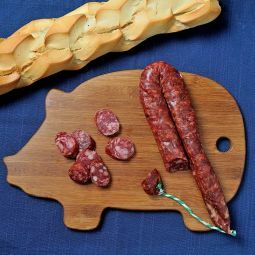 Our Longaniza Salami from Aragon is made with the best ingredients as selected pork meat from Teruel. 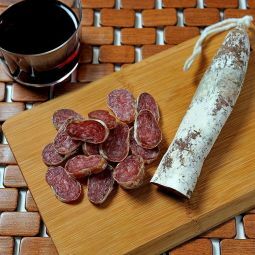 The salami has a dark red colour with the typical white dots and releases pleasant aromas and it presents the characteristic taste of the salami. 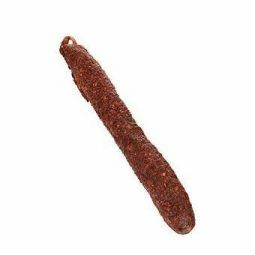 Our Longaniza Salami from Aragon is whole piece; it is air dried and firm at the same time as juicy. 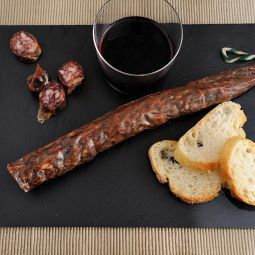 Enjoy our Longaniza Salami from Aragon, an exceptional product. 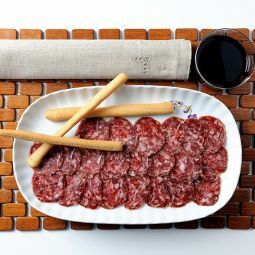 The Salami is a perfect snack and unfolds all its charm the simplest way together with some bread and extra virgin olive oil.